How is Couchsurfing in India in 2019? I have used Couchsurfing for well over a decade, starting in 2007, when I moved to China to be an Italian teacher. Back then, the community was far from the free-bed-for-all, corporate-driven monster it has become today — regardless, we have been using Couchsurfing on our trips for the best part of a decade… And maybe you don’t know, but I and Kit actually met for the first time at a Couchsurfing meeting in Penang. So, when it was our time to visit India for the first time in 2010, we resorted to Couchsurfing India, of course. India is definitely a hard place for some travelers, and by deciding to get so close to Indian people, staying with them in their homes, has also created a number of Couchsurfing horror stories. 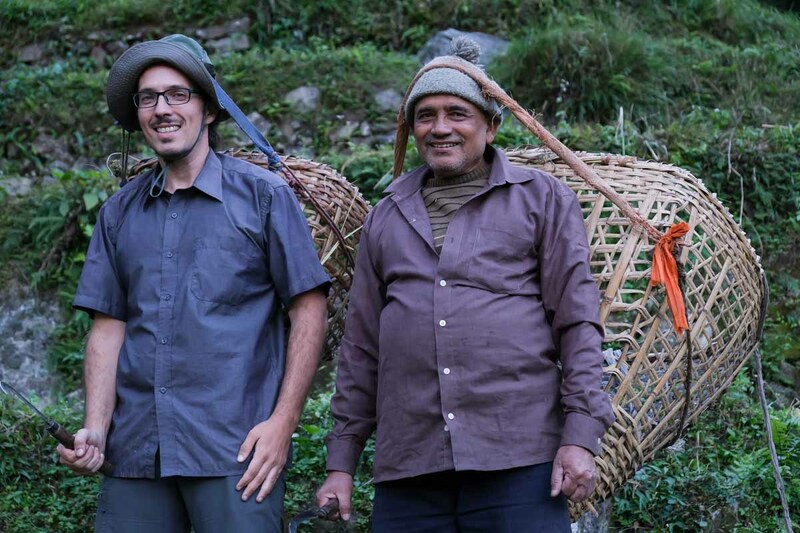 Luckily for ourselves, we didn’t have many bad experiences Couchsurfing India: on the contrary, we believe that Couchsurfing India as a couple has always been an added bonus to our trips to the Subcontinent. First of all, what is Couchsurfing? If you don’t know what Couchsurfing is, well, in a nutshell, is an online community to share travel experiences with local hosts. Using the Couchsurfing website, travelers can find willing hosts in cities and towns all over the world who offer a free place to stay to travelers. The scope of this interaction is having a cultural exchange, learn a foreign language, make friends, share ideas and adventures, and hopefully make long-lasting connections. Couchsurfing is totally free, yet it doesn’t mean that a host has an obligation to take care of you — in other words, feed you and treat you free of charge. That happens a lot while Couchsurfing India, but I don’t think it’s the norm, nor the rule. We personally believe that whoever is using Couchsurfing should, by courtesy and good manners, repay their hosts with, at a minimum, spending quality time with them; offering some meals, or cooking your own traditional foods for the host; showing respect, and that you aren’t the umpteenth Scrooge backpacker with a mental illness to keep your daily budget under USD2. We met MANY of these assholes all over Asia, and we think they not only bring a bad name to the Couchsurfing community, but to the world of travelers itself. Please don’t be like one of those horrible begpackers we see all over Southeast Asia these days. Be a respectful guest. Does Couchsurfing work in India? Yes, it does, and pretty well. And it’s nothing really new, either. 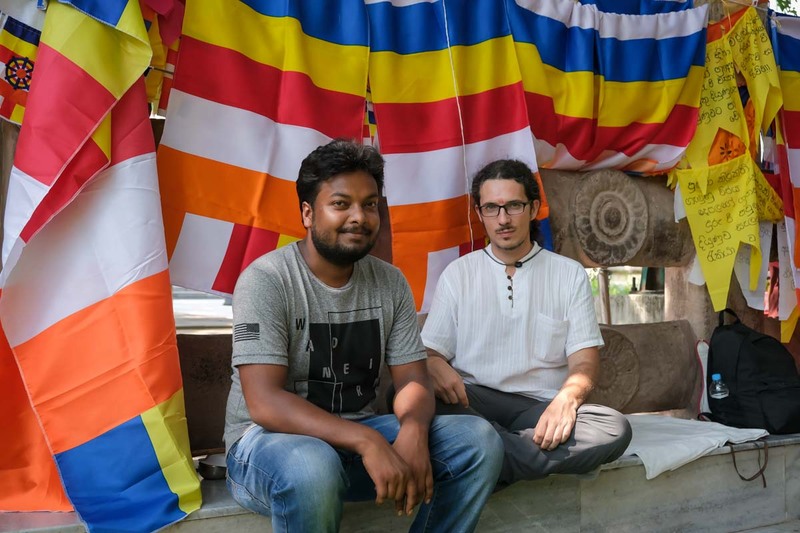 There are literally thousands of willing Couchsurfing hosts in India, and even if the majority stays in the bigger cities, you may still find some in more remote areas. For example, we found many Couchsurfers even in beautiful Northeast India. 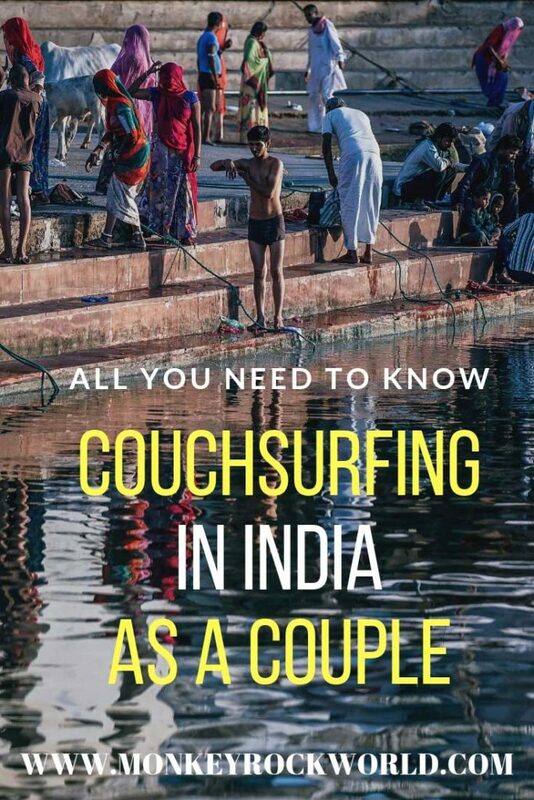 In many cases, Couchsurfing in smaller towns in India can even be a more intimate, unique couch surfing experience. Is Couchsurfing free in India? Yes of course, like everywhere else. If someone asks you for money, well, they are obviously trying to con you and you should report them to the Couchsurfing system. In our Indian surfing experiences, we actually had the opposite: every host took care of us, at times even offering more than what we are used to expecting from this community. Is Couchsurfing Safe in India? Provided you have read well through your hosts’ references (if you are not aware of this, Couchsurfing has a system of reviews that guests and hosts share about meeting and staying with each other), and there’s no immediate red flag, yes, we can say that Couchsurfing in India is safe. We have almost exclusively always stayed with young men living with their families, married couples with or without children (some even invited us to their Hindu weddings, a cultural experience like no other), and occasionally a few women. We have never been harassed or mistreated by none of our hosts, and this may be just luck or the fact that we travel as a couple. And why is that? 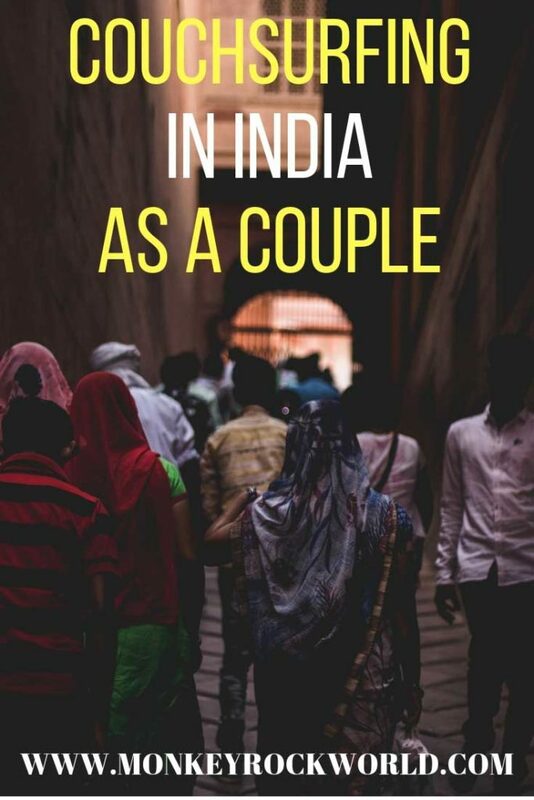 Because by presenting yourself as a couple (and a married couple, in our case)you shave off most of the potential weirdos who use Couchsurfing in India to get to know and stay in close proximity with single female travelers. You won’t believe how many profiles of Indian Couchsurfers only accept female guests, and how many references we have read, reporting that a particular host has at least tried once to seduce their female guests. By presenting ourselves as a couple, on the contrary, we have always managed to find interesting, fun and respectful hosts who not only took great care of us but also helped us have incredibly meaningful travel experiences by opening their homes and families to us. The best part is, when putting in a Couchsurfing request as a couple in India, all those “potential perverts” who are just into hosting single girls have always turned us down, saving any headache from the start. On the other hand, when people accept couples, they are already inclined to have a more relaxed, open hosting experience. 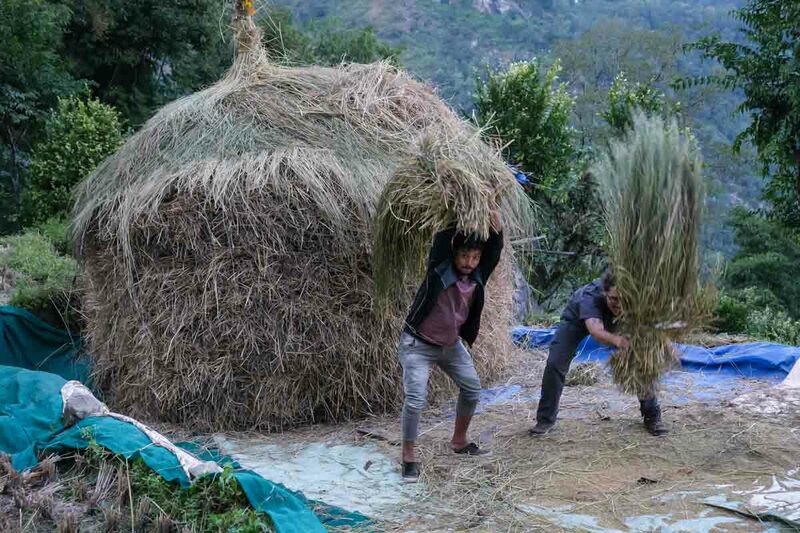 One such case happened to us in Gangtok, Sikkim: after a couple of nights, our hosts insisted to take us out to the countryside in their village, Lingmoo, which definitely isn’t one of the places people visit when in Sikkim. As a result, we spent two amazing days living with the village’s folks, learning how to harvest rice and taking care of the cattle. 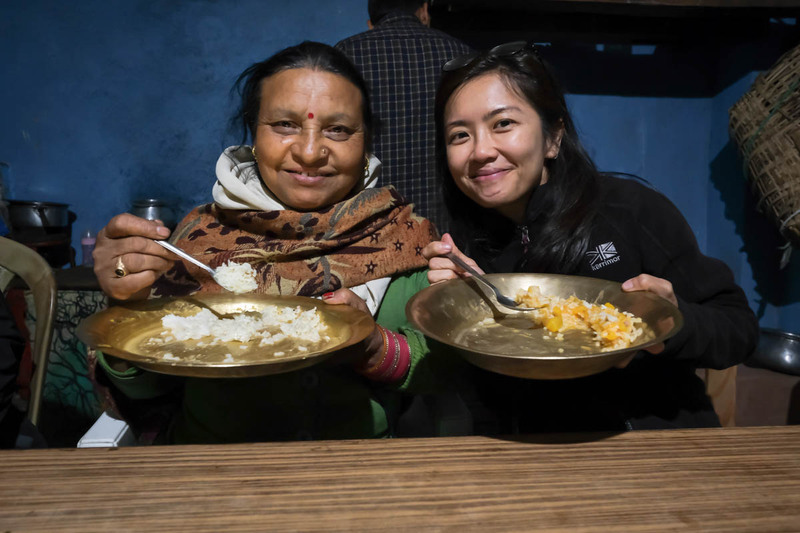 We cooked together, had a bonfire under a mantle of blazing stars, and got to learn a lot about real Sikkimese culture and hospitality. 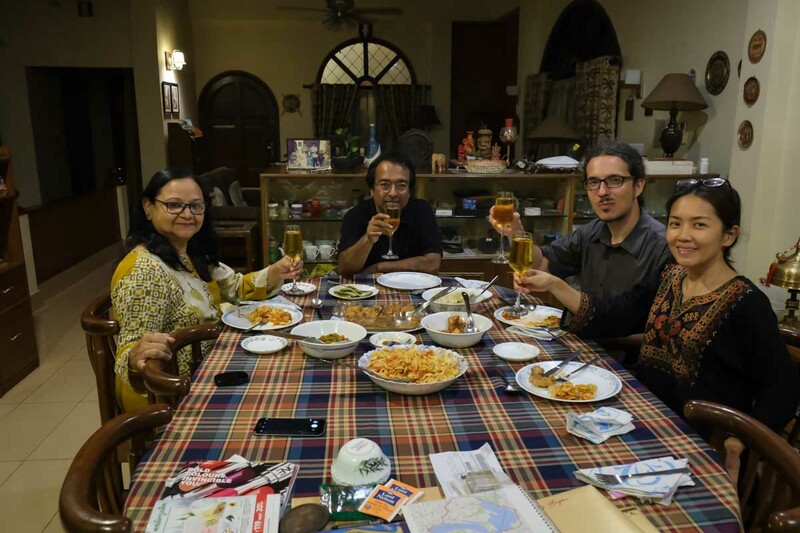 The same thing happened again in many other places while we couchsurfed in India: in Kolkata, we stayed with a kind family who even took care of me when I fell ill with a bad stomach bug. In Allahabad/Prayagraj, even if we only stayed for a half day, our host took us around the city and the sights in his own car, and offered a great home-cooked dinner even if we were taking an onward train on the same night. And in Lucknow, we met Ryan, possibly one of the kindest and smartest Indian Couchsurfers we ever stayed with. The good thing is, we are still friends with all of these people, we keep in touch all the time, and when we will return to India next, they will be the first we’ll want to meet again. So, How to find a good Couchsurfing host in India? Whether you are Couchsurfing India as a couple or a single traveler, there are a few things you should do before accepting an invitation. So many Couchsurfers are just psyched to get that “free stay” (horrible motivation to use Couchsurfing, by the way) that they just forget reading their host’s profile properly. This is particularly good practice in India, when you can clearly tell when a profile backs up a genuine host. Check the frequency of hosting and replies, and whether or not that person has references. Read through them with caution, as many guests won’t leave negatives even if their experience was the opposite of stellar — it’s just the way it is. Alarm bells should start tweeting in your head if the host has had a higher percentage of female guests: their references almost always hide some hints of trouble, so read through carefully. You should also make sure you are comfortable with the hosts’ house rules: if someone states you will have to share his room/bed, don’t be surprised when you show up at his pad, and that’s what you are offered. Because many do, and even if this doesn’t necessarily mean trouble (we have stayed in such free guesthouses before), an experience can end up becoming an unsavoury marketing experiment where YOU are the guinea pig representing the whole Western world. In India, it’s very common to connect on Couchsurfing and exchange a phone number to then continue the conversations on Whatsapp. This trick helped me avoid a few potentially difficult situations because as soon as we started chatting up the hosts, we realized that we had no match. Many Indian Couchsurfers can end up being overprotective, using you as a trophy to show to family and friends, or Shiva knows who else. A bit of communication can save you from awkward situations — be particularly wary if an invitation to a wedding is involved. This doesn’t necessarily mean trouble but could be a perfect example of the problem we just outlined above. Because many times, foreign travelers fail to grasp this very simple concept. Couchsurfing India means entering real Indian homes, and confronting real middle-class families made up of dominating mothers, competing sisters, nosy aunties, multiple servants, spoiled sons and brothers, and whatnot. If you aren’t comfortable in sharing such an environment and opening yourself to questions, you may be better off staying in a hotel room. Especially if traveling as a married couple, it’s very normal in India to be assaulted with questions ranging from “how many children do you have” (or why you don’t, in that case), to “how much you earn” and other personal details. It may sound redundant, but if you aren’t willing to share and be embraced as another member of the family, you will miserably fail to appreciate your Indian Couchsurfing experience. Always remember that by accepting to enter into an Indian household, you will not only enjoy the great hospitality but also be partially adopted as a new family member… and not every traveler is comfortable with that. This said, we think that Couchsurfing India has many more positives than negatives, and we encourage our readers to get out and try by themselves. Traveling India as a couple can certainly help, but we have also met many solo travelers, both male and female, who have shared hosts and adventures with us, and never lamented the amazing hospitality that only Couchsurfing in India can offer. It will, at a minimum, change your perspective that India is a dangerous place to travel: it’s quite the opposite, if you stick to the suggestions above. Well, I’d say… hell NOT THE SAME. I have been a Couchsurfer for a decade: it takes a moment to see if a person is genuinely interested in a cultural experience or just a pain in the neck (expecting free food etcetera). A begpecker would not care, taking anything he can in exchange for nothing, not even a clever conversation… there really is a huge difference, and if you don’t see that, well, I think you don’t know what Couchsurfing really is. I’m living in Asia but I don’t know anything about couchsurfing. Great idea to present yourself as a couple to minimize any issues with potential dude surfers. Thanks, Kathy, you should try Couchsurfing in Asia, people are really friendly, and getting to know their homes and the way they live is so much better than staying in any hostel/hotel!